Some people believe the 4 spring holidays (Passover, Unleavened Bread, Firstfruits, and Feast of Weeks/Pentacost) were fulfilled in Messiah’s 1st coming and that the 3 autumn holidays (Feast of Trumpets, Day of Atonement, and Feast of Booths/Tabernacles) will be fulfilled at his 2nd coming. I knew Pastor Randy was going to start giving a series of sermons on the Festivals to better educate folks about their past and future (and hopefully their present) meaning. I forgot that meant my Sunday School class would be teaching on them too, since my class “mirrors” the Pastor’s sermons. I like my Sunday School teacher but in many ways he has a very “basic” approach to the Bible, that is to say, very basically Christian. I’ve had to bite my tongue on a few occasions during a study rather than open a can of worms that would not easily be closed again. To his credit, the teacher came up to me before the start of class today and said he expected I’d have a lot to say about next week’s lesson. That’s something of an understatement. I plan to really do my homework this weekend, come prepared with a lot of notes, and bring my Stone Edition Tanakh for good measure. What’s kind of scary is that the Festivals won’t be approached based on their own merit, but on their “symbolic meaning” relative to Jesus and all that “fulfilling” stuff. Really, Passover has been “fulfilled?” I’m not sure what that’s even supposed to mean. Does that mean it’s over. No more Pesach seders? Then why did Jesus say “do this in remembrance of Me” (Luke 22:19)? Oh. Am I supposed to believe that the sacrament of communion replaced Passover? 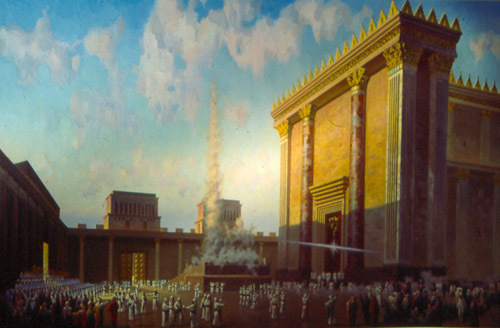 What happens when the Temple is rebuilt? Will there be no Pesach sacrifices because Jesus “fulfilled” Passover? Actually, I told my teacher that I do sometimes keep my mouth shut and my opinions to myself in his class on various occasions. Our conversation was light-hearted but I know I’m going to have concerns over the next two months. I won’t be as quiet as I have been in the past. I can’t be. Actually, in preaching on Acts 14:21-28, I encountered my Pastor’s opinion on Shabbat as applied to Christians. This section of Acts addresses the end of Paul’s “first missionary trip” and his return to Syrian Antioch. Although the text doesn’t actually say Paul and his team rested, it’s assumed that once they returned to their “home church,” they may have taken it easy for a bit. Both Pastor and my Sunday School teacher emphasized the importance of taking a break from our duties to recharge our “spiritual batteries,” so to speak. Pastor went so far as to mention the Shabbat, “but not in a legalistic sense” (Oy). He did say that he felt it was important to take one day out of the week as a day of total rest. That day can’t be Sunday for him since it’s his busiest day, but every Monday, he and his wife spend the day at their cabin. No phone and no Internet. Just taking it easy and pursuing some personal activities and projects. From the way he’s described it to me, it doesn’t sound like a “Jewish” Shabbat as such, but it is a day of rest. However, Pastor says we can choose whatever day we want. I don’t see that in the Bible, but then, he’s not going to be preaching a Saturday Shabbat to his congregation, either. 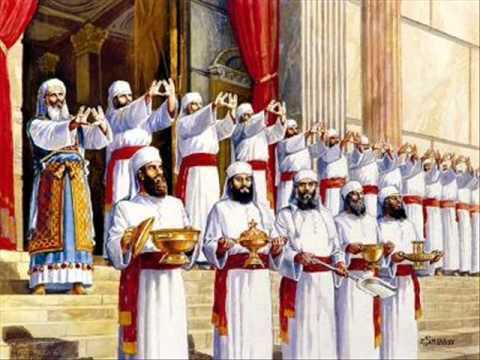 As an aside, in ancient times, the Kohenim (Levitical Priesthood) also worked on Shabbat and yet were held blameless (Matthew 12:5). I wonder when they rested? Of course, in the days of Jesus, the Priests worked on a rotational basis, so maybe it wasn’t as bad as all that. However, what about Rabbis working on Shabbat? But I digress. I wonder if Pastor or anyone else at church would consider actually observing a Saturday Shabbat as “legalistic,” particularly if observed from sunset Friday to sunset Saturday and abstaining from some form of the Melachot or the thirty-nine types of work traditionally forbidden on Shabbos? Would it be legalistic to observe Shabbat because it honors God as the Creator rather than just because we need a rest? Christianity didn’t switch Shabbat from Saturday to Sunday, they eliminated it altogether. Few Christians treat Sunday the way a religious Jew observes Shabbat, not even close. I think the church surrendering the Sabbath and its traditional observance was like Christianity shooting itself in the foot. Could you imagine the enormous relief and freedom we could experience if we didn’t choose to treat Sunday pretty much like any other day of the week? That’s pretty much what I’m going to be addressing at church for the next two months. I’m actually kind of excited to hear what Pastor is going to say about the Festivals, but I’m also kind of dreading how it’s going to play in Sunday School. I’m going to go. In some ways, I really want to go. And I’m going to give input. People have become aware of my basic leanings and seem to be OK with it, but this will be the real test. People are going to find out that in my own small way, I do observe the Festivals. My wife and kids being Jewish, we have a family seder each spring and I build a sukkah in our backyard each fall. I eat matzah instead of leavened products for the eight days of unleavened bread. And although I don’t always fast on Yom Kippur, I have done so periodically in solidarity with the Jewish people. Too bad this didn’t come up before Tisha B’Av. I’m sure I’ll have more to say after next Sunday’s message and Bible school study. This is where my real life experience and the mission illustrated in Boaz Michael’s book Tent of David intersect, hopefully not to forcefully, though. James. I give you a lot of credit for bitting your tongue. I end up having to do the same at my Sunday school. Many people appreciate the insight I bring to the class and the scriptures. Unfortunately the teacher is seldom if the same opinion. Just today he told me, in front of the class that I should study more. The more I’ve shared what I know, the more I discovered the church I attending believers in replacement theology. I know they love the Lord, so that helps ease the hurt when I receive snide remarks. I continue to speak in love, and earnestly desire to live out what I believe. I will be praying for you to have the words that will reach them. Shalom! My suggestion is not to attack their views as wrong, but present biblical truth in its beauty. If you have children in your congregation, I would suggest providing them with moed themed crafts, and you can find these all over the internet, including Robin Sampson’s, “Biblical Holidays,” and, “Jot and Tittle,” has a children’s activity book for this. Bring in some props so the people can participate; then it will be more than a theological or philosphical discussion. That’s what the moedim were about anyway; involving the people in an activity for teaching and remembrance. Dr. Frank Seekins has some interesting insight into Shabbat, which is represented in ancient pictographs as, “return to the covenant.” Constantine ordered that a seventh day Sabbath be forbidden, and Christians were required to work on that day lest they appear to side with those evil, despicable Jews. The Catholic Church admitted to changing the day, because they claimed they had that authority. Now we live in a time where there is no rest. @Rosemarie: As far as I know, I don’t get any snide remarks. Most people are pretty open to hearing what I have to say, even if they don’t always agree. I do hold back quite a bit because I don’t want to come off as “Mr. KnowItAll” and I don’t actually believe I know everything. Every once in awhile though, a topic comes up in Sunday school that I know I won’t be able to leave alone. This is one of them. I’ll be seeing my Pastor on Wednesday and I’ll let him know that I’m likely to make some comments in class the following Sunday. @chaya: I really work hard not to come across as harsh or critical. As I said above, I know I don’t know it all and I’ve been wrong before, so I tend to take the better part of valor route unless it’s something I consider important. I see what you’re saying about bringing in some teaching aids, but the Sunday school class is highly scripted and organized and beyond providing verbal feedback, I wouldn’t have much time to present anything extensive. Also, I don’t want to give the appearance of hijacking the teacher’s class. If it ever gets to a point where I’m invited to teach or to give a class some sort of presentation, I probably would bring in materials, but as much passion as I feel about this situation, I still must walk somewhat softly. To be fair, the Pastor has done an excellent job of encouraging and developing a church environment that is supportive of the Jewish people and of Israel. He lived in Israel for fifteen years and is very familiar with the people and culture. I have yet to hear one anti-Semitic word in that church. Hi James. I don’t know if you are asking for help, even though you have a line with that word alone at the beginning of your post. a) I Use Leviticus 23 as the main chapter for explaining the Festivals. b) Using Strong’s dictionary, I have explained important meanings of the word feast (moed): appointment, fixed time, signal, assembly and congregation. Which means that they are not mere festivals, as we see festivals today, but a more elaborated events, with several meanings behind them. c) Also, on the other word used by God, convocations (miqra) in Leviticus 23, I have explained its definition: not just a public meeting, but also a rehearsal… a rehearsal about what ??? Meaning that God wanted his people to rehearsal something every year in order to be ready for the real event !!! e) I also state that we have forgotten to celebrate holydays appointed by the Lord : “these are My feasts” (Leviticus 23:2), “These are the feasts of the LORD” (Leviticus 23:4), “it is the LORD’S passover” (Exodus 12:11) …. f) So I ask my brothers and sisters, that we should recognize that even though these feasts were given to Israel, they are the LORD’s feasts…. Then I ask a question : Should Christians keep celebrating feasts appointed by men, or should keep feasts appointed by our Father??? Thanks for your response, wiseguy. Actually, I just said “Help” to indicate that I’m going to find sitting in next week’s Sunday school class a bit emotionally challenging. I have a pretty good idea of how I’ll prepare for the class and then participate. I’ve been back in a church less than a year and while in many ways, it’s about the best church experience I could have, there have been a few interesting times when I encounter how some folks think so differently than I do. It’s not all the time, but when it happens, I always have to decide how I’m going to respond, which includes just keeping mum. I have been reading your blog for more than a year now, and I know you are ready to handle these kind of things. I also know how it feels, because in the church that I used to attend three or four of years ago, here in El Salvador, I had to keep my mouth shut. Gladly, the Lord made me find a church which is unique here, since it is the only one that is searching and learning about our Jewish Rabbi Yeshua Ha Mashiach, being gentiles all of us. There is a small Jewish community in El Salvador, but they attend their synagogue as expected. No Messianic Jewish congregations are found here, but I know there are some very small two-house congregations in my country as well. I wonder if you asked the Sunday school teacher if you could answer questions, as you have some background in this area? I see what you can do is not so much provide information, but create an appetite for people to want to search out more. What if you brought in a list of resources, even links they could look at? @alfredo: Thanks for letting me know that you’ve been reading my blog for so long. I appreciate it. I’m also glad you found a place to worship that is learning about the Jewish Messiah. My greetings to your congregation in El Salvador. Blessings. @chaya: I still want to be respectful of the teacher since after all, he’s been appointed to that position, but I suspect I’ll be talking a lot more than I normally do. I’m not going to usurp his class, even if I have a more unique perspective on the topic. I’ll be praying for you, James. May Father use you to bring keen insight into the class and open doors for you to share. May He open eyes and unstop ears that they may understand and turn and be healed. As Angel in “the Rockford files” use to say” “Jimmy, Jimmy, Jimmy…” Get ready to be kicked out on your behind…LOL! If that’s the response, so be it, Dan. However, I’m hoping for more. So, if you have limited time, and no opportunity to bring materials, here is what I would do. As mentioned, people already agree that the fall Feast of Trumpets, Yom Teruah, has not been fulfilled. Hone in on that, and the interest everyone has in end time issues. ICor15:52 in a moment, in the twinkling of an eye, at the last trumpet. For the trumpet will sound, and the dead will be raised imperishable, and we shall be changed. Thanks for those suggestions and links, chaya. I’ll be as prepared as I can, but I still plan to behave like a student in that class, not the teacher. If I am ever going to be heard, it won’t be because I’ve given the impression that I’m taking over someone else’s class or position. I’ll be morel likely heard if I’m seen as being respectful and within that context, making sense as someone who knows a little bit about the topic. If you offered to teach a class, would they let you? My problem is that I could never teach as I have no gift for teaching verbally, although I believe I have a gift for teaching in a written manner. I am a terrible public speaker, and though my thoughts seem to flow like running water when I write, they sort of stop up when I speak, although I know people who are the opposite, and some who are gifted in both. I assume it has to do with a different part of the brain. I also like the idea that I can go back and correct, and find that perfect word that will express the thought I desire to convey. I sometimes get the impression that the Pastor might eventually ask me to teach, but I don’t think that’ll be anytime soon. I know he’s very protective about the congregation and wants to make sure that any teaching being given meets with the guidelines of the church’s beliefs. I haven’t even been at the church a year yet and I’m not a formal member, so I imagine that would factor in to any decision about me teaching. If Pastor and the board decide not to allow me to teach, it is their church and that’s their right. James, I actually consider it a positive thing that the leaders are concerned about protecting the sheep, but sometimes they can be overprotective. With Yom Teruah coming up, and if they are interested in eschatology, if you were to teach on the significance and symbolism in this day, that might be accepted. I bet if you put together an outline and showed it to the pastor, he might be open. Could you hold a party or event at your home and invite people you are close to, so you will have a few who understand you and are allies? Could you hold a party or event at your home and invite people you are close to, so you will have a few who understand you and are allies? I’m not *that* well connected at church yet. Probably the head Pastor and one of the associate Pastors are my “biggest fans” at this point. Also, I don’t think my wife would feel comfortable holding a church related meeting in our home. For a lot of reasons, she would prefer to keep my Christian life and her Jewish life compartmentalized. I really think pressing the issue of me teaching is premature right now. I appreciate your support, but I would rather wait until invited to participate on that level before proceeding. The fact that the head Pastor asked me to meet with him privately for 1 1/2 to 2 hour discussions in his office every week says that he’s interested in me. He’s running a full time ministry plus has just started a Ph.D program, so the fact that he gives me his time means that there’s a foundation being built. I just want to make sure its solid enough to walk on before trying to build the next level. There is a strong tendency, as you well know, for a group in motion to remain in motion in the direction it is already moving (Socio-Newtonian principle 🙂 You’re doing a great job interacting directly with the pastor while sowing good seed among the congregation. Your leading the horse to water, and hey, you never know, one day someone may look up and take a drink… Mazel tov.